This remembering is always emotional for me. One thing that impacts me beyond the obvious is my utter and total fear that this could happen again to us...and that it is happening over and over again to other peoples throughout the world. When I breeze through Facebook, supposed "peace activists" comments and various websites, the blame-anger-hate that still exists quite openly leads me to believe that the hardship for us is not over. It scares me more than anything, but it also makes me incredibly sad. This Yom HaShoah, Holocaust Remembrance Day, my soul aligns with all the Jewish people who have lost loved ones, been scarred and changed, lost faith in humanity, lost their lives, lived through the horror, dreamt the terrible reality, lost sleep, nutrition, faith, hope and love, had to block off a section of their experiences and thoughts in order to continue to live, and have been exposed to the ugliness this world has to offer. 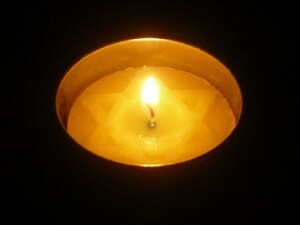 May God remember the souls of all the communities of Israel in the European Diaspora who were sacrificed on the altar during the years of the Holocaust (1939-1945): six million men and women, boys and girls, young men and women, infants and the elderly, who were cruelly slain and butchered, and mass murdered in their dwellings places and cities, and in the forests and villages. Those surviving were brought like sheep to the slaughter to the concentration camps where they died unnatural deaths, and were burned to ashes in the furnaces of the terrible camps of destruction in Germany and Poland, and in the rest of the occupied countries, at the hands of the murderous German people and their Allies, all of whom were of one counsel to annihilate, kill, and utterly destroy the Jewish people, to wipe out the memory of Judaism, and to erase any association with the name Israel. God of vengeance, Judge of the Earth, remember the streams of blood that were spilled like water, the blood of fathers and sons, mothers and sucklings, rabbis and their students, and repay the oppressors of your people seventy times over. Do not silence the scream of "Shema Yisrael!" uttered by those who were taken to their death, and let the groan of the afflicted ascend before the throne of your glory. Avenge, speedily in our days, before our eyes, the blood of your pure and sanctified sons and daughters who were never had the privilege to be buried as Jews… As it is written: "For He will avenge the blood of His servants, and vengeance he will serve on their oppressors, and He will atone the Land of His people."